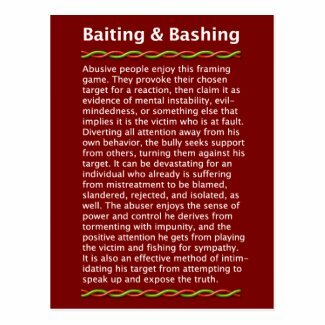 A well-respected Wall Street money manager posts an article explaining how pathological predators are ripping apart the economy and society. 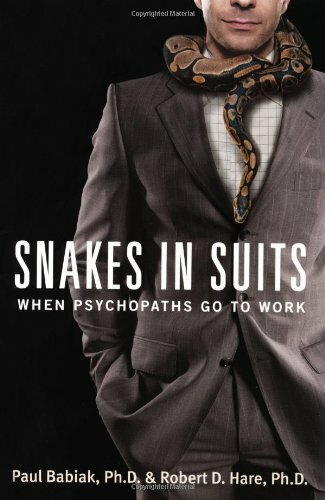 Psychopaths are estimated to make up 1 percent* of the population but constitute roughly 15 to 25 percent of the offenders in prison and are responsible for a disproportionate number of brutal crimes and murders. A recent estimate by the neuroscientist Kent Kiehl placed the national cost of psychopathy at $460 billion a year — roughly 10 times the cost of depression — in part because psychopaths tend to be arrested repeatedly. The societal costs of nonviolent psychopaths may be even higher. 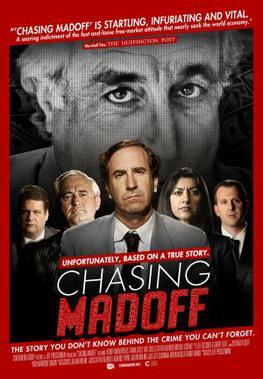 Dr. Robert Hare, the co-author of “Snakes in Suits,” describes evidence of psychopathy among some financiers and business people; he suspects Bernie Madoff of falling into that category. * Opinions about the percentage vary. 1% is the most moderate estimate. 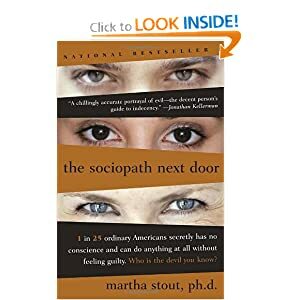 Robert Hare writes that the difference between sociopathy and psychopathy may “reflect the user’s views on the origins and determinates of the disorder.” The term sociopathy may be preferred by sociologists that see the causes as due to social factors. The term psychopathy may be preferred by psychologists who see the causes as due to a combination of psychological, genetic, and environmental factors. 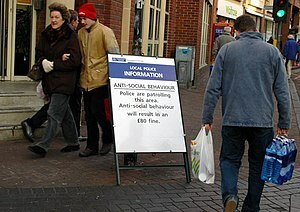 David T. Lykken proposed psychopathy and sociopathy are two distinct kinds of antisocial personality disorder. 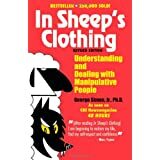 He believed psychopaths are born with temperamental differences such as impulsivity, cortical underarousal, and fearlessness that lead them to risk-seeking behavior and an inability to internalize social norms. On the other hand, he claimed that sociopaths have relatively normal temperaments; their personality disorder being more an effect of negative sociological factors like parental neglect, delinquent peers, poverty, and extremely low or extremely high intelligence. Both personality disorders are the result of an interaction between genetic predispositions and environmental factors, but psychopathy leans towards the hereditary whereas sociopathy tends towards the environmental.